Cole Swearingen joined Compass with Laguna Residential Group in early 2018. After obtaining a Bachelor’s degree in Hospitality Administration from Texas Tech University, Cole became a Sales Director for 3 years at the largest hospitality management company in the country. His background in hospitality has taught him the importance of building and maintaining client relationships. Cole is passionate about providing excellent customer service and always putting his clients' needs and goals first. His tenacious yet hospitable approach with clients, along with his perseverance and salesmanship, make him an ideal addition to the Laguna Residential team. 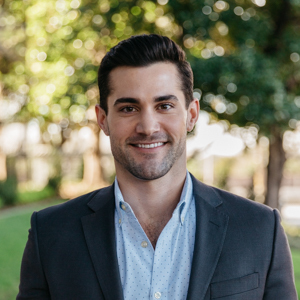 Before joining Compass with Laguna Residential Group, Cole's close ties with reputable home builders in Dallas sparked his interest in the real estate business. His new-found passion and knowledge for home construction, as well as his love of architecture and interior design, is what drew him to pursue a career in real estate. Cole was born and raised in Dallas, and is an enthusiastic fan of all that the D/FW Metroplex has to offer. Cole's free time is spent enjoying Dallas’ ever-changing food scene and exploring new up-and-coming areas. He has enjoyed living in a variety of neighborhoods including Uptown, North Dallas, and most recently West Highland Park.